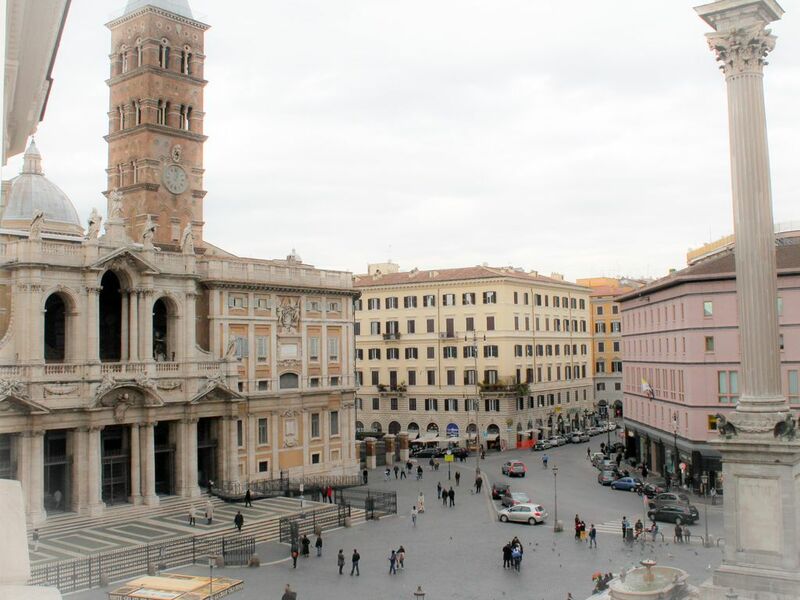 We are glad to welcome you in our charming apartment located in the center of Rome, in front of the Santa Maria Maggiore's Basilica and a few minutes from Termini station. You could stay in a cozy and comfortable structure and at the same time to visit this ancient and famous city. The apartment is clean and in very good condition, good WiFi. The location is very beautiful and convenient, shops, restaurants, the main railway station and hop-on/hop-off bus stops are just a couple of steps near the apartment, Colosseum is in 15 minutes walking. Emanuele provided all information that might be useful during the stay. It was smooth, clear, fast and easy communication with him. So, deserved 5 stars as for the apartment as for services. This is a simple but pleasant apartment. It is newly renovated, very clean and in good condition. The kitchen and bathrooms are modern and well equipped. The main downside is no wifi, which was a really big problem for us through the stay. It's not particularly central to attractions, but it's only 10 min walk from Termini, there's lots of restaurants down that way, and there are 2 supermarkets very close. It's also noisy on the piazza, but it's a great view. All up it's a good choice if you can make do without wifi for a while. Die Wohnung von Emanuele war für uns (Ehepaar mit zwei Jugendlichen) ideal: zwei Schlafzimmer, zwei Badezimmer. Kein Luxus, aber das Appartement ist mit allem Nötigen versehen. Einziger kleiner Minuspunkt: Da die Fenster nicht wirklich toll isoliert sind, ist der Strassenlärm doch hörbar. Wir haben den Aufenthalt sehr genossen. Die Lage am Platz Santa Maria Maggiore ist ausgezeichnet. Der Kontakt, die Kommunikation mit Emanuele verlief reibungslos. Un appartement bien situé avec beaucoup d'espace, de fenêtres et de commodité. Un propriétaire acceuillant et disponible. Un séjour de trois jours et inutile d'avoir un véhicule. Tout est près, autobus, train, métro. Roma antique, restaurant, basilique. I really loved this apartment. Full furnished to live, zone with everything available for necessity, included taxi service, bus and underground to reach eacgh point of interest in Rome. The host was very friendly and suggest me good restaurants, pubs and other shops. I'll hope to come back soon! The apartment is very beautiful: I liked it very much and spent very great time on the mornings and evenings when I live it. The central position is perfect and I found everything: supermarket, many shops, public transports, restaurants, pubs. The internet connection is very fast and the kitchen is full furnished. Emanuele is friendly and suggest to me restaurants, pubs and other Rome's things. I will book here next time I come back! (Text automatically translated) For more information visit the homepage or contact me directly via e-mail. Consegna delle chiavi da parte del Proprietario. Pagamento contributo di soggiorno al check-in in contanti di 3,5 € a persona per notte.